According to ABC, police are investigating a robbery at a San Francisco Patagonia location after two men reportedly smashed through the entrance to the store with a U-Haul van, loaded it up and fled the scene. 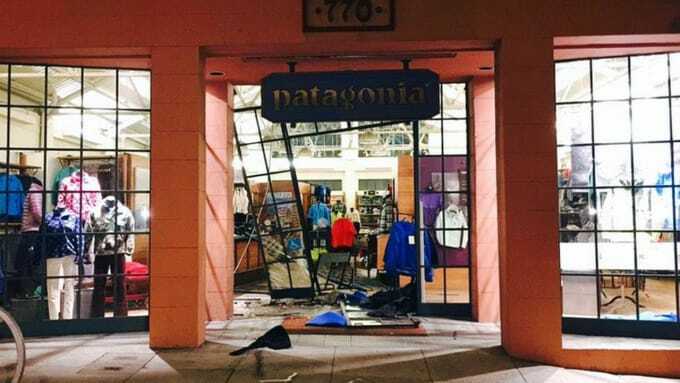 Maybe this is because Patagonia is riding a huge comeback and they really wanted to stock up on that sweet Patagucci, or maybe it&apos;s because a couple of tech bros were looking for some new fleeces to rock at their next round of funding. One witness said he briefly saw the suspects load up the van and looked to be pros. I mean, this is easily the most fratastic crimes ever committed, right? The only thing I can even think to compare would be, like, a couple of popped-collar clad criminals busting through the doors at the Natty Light brewery and stealing all the brews, bro.